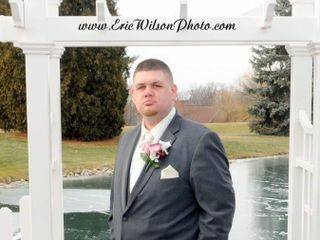 Eric Wilson did an excellent job on our wedding photos.We seen a friend of ours wedding pictures and we knew we had to have him as a photographer.Great quality and great professionalism. On time amazing product very professional! He makes sure you get the pictures you want!!! 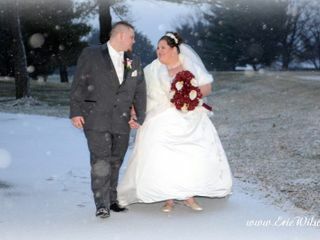 Eric did an amazing job with out wedding he is truly the best photographer I have ever had!!! Can't thank you enough for the AMAZING photos!! 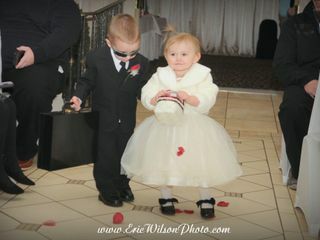 Unbelievable, we highly recommend Eric for any photography, wedding, family, holiday, candid!! Phenomenal, beyond expectations! My name is Menyatta and I just want to say that Mr. Wilson was absolutely a dream to work with! Our photos were better than what we could have imagined. Me and my husband got married on 09/22/2018 and we still have family members and friends commenting on how efficient and patient Mr. Wilson was with us. He do all the extra things to make our day extra special, and let me not forget about his prices. His prices are really really reasonable and if you ask me, for the work, time, and expertise that he puts in are under priced! We are truly blessed to have found and had the chance of working with him...We definitely recommend Mr. Wilson Photography to out friends, family, and anyone that is looking for a outstanding photographer. Eric was amazing! We got married under a tent during a hurricane, a disaster for weddings and photo lighting, but eric did a phenomenal job! 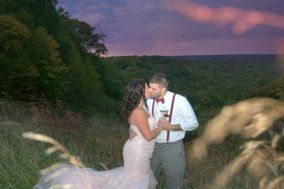 We truly cannot believe how amazing the photos turned out. It is clear that Eric is passionate about his work and the results show. All around wonderful experience and would highly recommend Eric! Absolutely amazing! 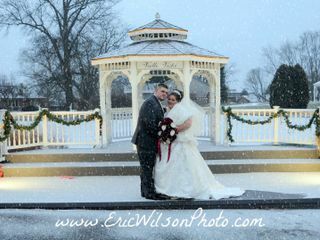 Eric Wilson photography, excellent pictures and service overall. He does an awesome job and does not charge outrageous prices, will definitely use him for future events (maternity, birthday)! No complaints what so ever, greatly appreciate capturing my special day! Eric made our special day come to life in his photos! He made sure to get every shot we were looking for and suggested some great ideas for photos. His creativity and professionalism is exceptional! He makes everything very simple plus a great value. Thanks! Eric is so professional and patient! We had 30 people in our wedding party and he got pictures of all of us the whole day! I highly recommend everyone to him! Eric definitely knows what he is doing! His pictures are so detailed and clear! Eric and his assistant took photos at my wedding a couple weeks ago and I could not be happier with the results! He’s sent a few sneak peaks and I am already in love and cannot wait to see the rest of the pictures! Eric was professional, kind, and fun to have at our wedding! If you’re looking for a great photographer to capture your precious moments, Eric is your guy! Eric & his crew have done professional pictures and personal pictures for our park and for my family. His talents has exceeded my expectations in both arenas! Christian Park has used Eric for several years and have always had exemplary service. His shots are fun and unique. His delivery is timely and the quality of the photos are untouchable! Eric has went out of his way to make our parents and athletes feel like the only people in the room. If you are looking for a personable, respectful and talented photographer; YOU ARE IN THE RIGHT PLACE! Mr. Wilson was absolutely amazing! We spoke on the phone about pricing and what he offers initially and immediately We knew we had found our guy! He truly cares about taking care of his clients! His passion and love of photography and weddings truly reflect that. Eric was very professional and friendly. Very flexible with us. And by the end of our wedding we both truly considered him a friend. We have not received all of our photos yet, but the preview that Eric gave us (Guaranteed within 24 hours by the way) completely blew us away! Eric listened to what we like, and the totally reflected our style in his photos. We will be recommending Eric to ANYONE who wants a high quality photographer and someone who takes their profession seriously... but seriously he’s an awesome guy too!! Eric didn't wonderful!! Very professional and made my day even more special. He literally captured every single moment! Thanks Eric you are the best!! Eric was such a pleasure to work with. He captured moments that mean more to me than words can explain. He was there every step of the way and was completely profuthe whole time. He has an awesome personality and sense of humor!! He definitely became family after working with us on our wedding!! I would highly recommend him!! Shout out to Eric Wilson.....hands down the best photographer in Indy! On the best day of my life 09.02.2017 he made all my dreams come true. 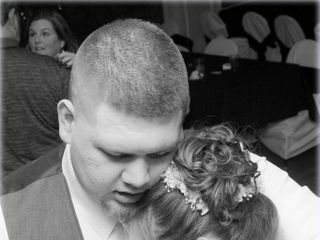 He caught every moment we had including with our bridal party! My photos are beautiful and I would hire him over and over! As I did with my engagement and wedding...I will with all my family photos! He is the best and I appreciate him more than he will ever know for making our special day soooo perfect!!! We had a beautiful time. He was on time,got plenty of pictures. He was like family at our wedding. Me an my wife are very thankful an happy. Awesome job!!!! He is the Best Photographer in Indy and you can't beat his professionalism and price. I got married August 20,2017 and he made my wedding dreams come true. He captured every moment even before and after pictures while me and my wedding party got dressed. He even did me and my husband engagement photos. I Would use him again and again for all my family and friends needs. Thx Eric ! I'm so glad my family referred you to us. You've done 4 weddings already in our family alone. You're the greatest! Thx You Juszina..
Eric is an awesome person all around. Everything about his business was timely, beautiful, creative, and simply amazing. I would recommend him for any occasion year round. 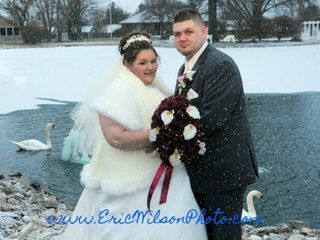 Eric Wilson Photography goes beyond getting the job done!!!!!! Very pleased with the outcome of my wedding photos. A lot of special moments were caught. They turned out lovely and will recommend his services to family and friends! 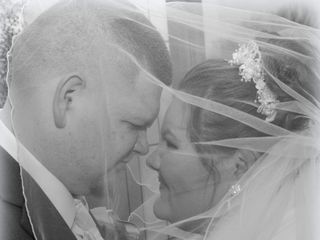 Eric did such a wonderful job capturing pictures from our special day. Eric has been our photographer for many Special events including our wedding. He is so patient, detailed, and always captures the best natural shots. If you have a special event coming up please choose him, you won't be sorry! Eric is wonderful to work with. We had a great experience and highly recommend him for any occasion. We love how our pictures turned out.